Like many indie labels, Matador Records started out as a one-man operation, run from Chris Lombardi's bedroom. Early on it the label's life, Gerard Cosley joined Lombardi in trying to pull the label together. Early releases by the likes of H.P. Zinker, Railroad Jerks, and Superchunk established the label with indie music fans, but it didn't take long for Matador to get a taste of major success thanks to a licensing agreement and a Scottish band. Matador's US release of the debut album by Teenage Fanclub but Matador on the map. The album, A Catholic Education was hugely successful for the label and brought with it things like new offices, the ability to build a roster that would eventually include some of the biggest names in indie music and attention from major labels, who started sniffing around Matador as soon as the Teenage Fanclub album took off. Helped along by subsequent success with Pavement, Matador experimented with two major label agreements during this time, both of which ended badly. Matador's first taste of life as part of a major label came in 1993 when they formed an alliance with Atlantic Records. Under this deal, Matador's most profitable artists were released as joint Matador/Atlantic releases, and profits from Matador's smaller, "Matador only" releases were split 50% with Atlantic. In exchange, Atlantic paid Matador's bills. 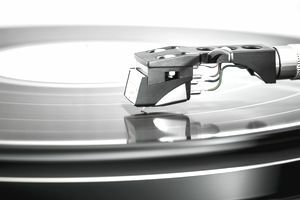 The reaction of indie music fans was not pretty, and many musicians on the label were none too pleased to be at the mercy of a major label after signing to an indie. They needn't have worried—the deal collapsed in disaster for both labels within three years. Being cut off from the deep major label pockets of Atlantic left Matador willing to give the major label scene one more try. In 1996, Capitol Records scooped up a 49% share of Matador. The three-year relationship between these labels didn't end much better than the Atlantic arrangement, and in 1999, when Capitol was facing bankruptcy, Matador bought the shares of the label back. As Cosley told Rolling Stone after the deal fell apart, "the money was great (working with the majors), but money doesn't buy happiness—or record sales." Matador is now part of the Beggar's Group alliance of indie labels. Matador Records does not accept unsolicited demos anymore, and the label is not actively looking for new artists for its roster. This policy includes both physical demos and emailing the label your website/MP3 clips. Keep in mind that internships are for experience only - they are not paid positions.